Whisper Mountain Camp began 13 years ago as a place for people to escape their noise so they could encounter the whisper of the personal God. The schpeel goes something like this: We use purposeful adventure, practiced quiet, intentional connections and Biblical teaching as a means to Proclaim Christ to teens and adults through week-long summer camp and year-round retreats. In a nutshell: we have 130 acres of mountain property for you to escape to so you can meet with Jesus! We like big fun at big camps, but we have found our niche to be offering an intimate atmosphere for smaller sized groups. Still fun and still camp, but there’s just something about being known! This blog is the place where we keep you connected with all the stuff going on at and within camp. Pictures, videos, updates, announcements, encouragements, randomness…all things Whisper Mountain will pass through the hallway of this blog! We’d sure like it if you wanted to keep up with us! It’s people like you that keep things awesome around here! 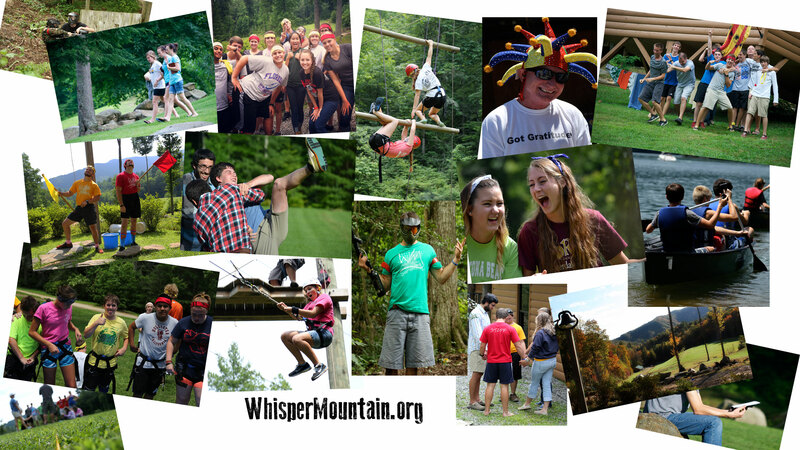 The name Whisper Mountain comes from your desire to provide others with the opportunity to hear a whisper from God while visiting the camp.